This event took place on September 13. To hear audio, follow this link. To see a video,follow this link. 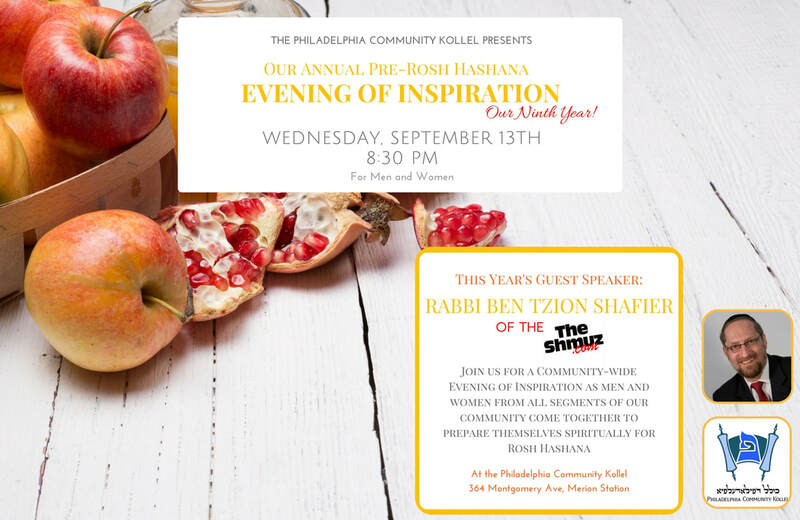 Sponsorship for this event are available as a great way to increase your merits before Rosh Hashanah. 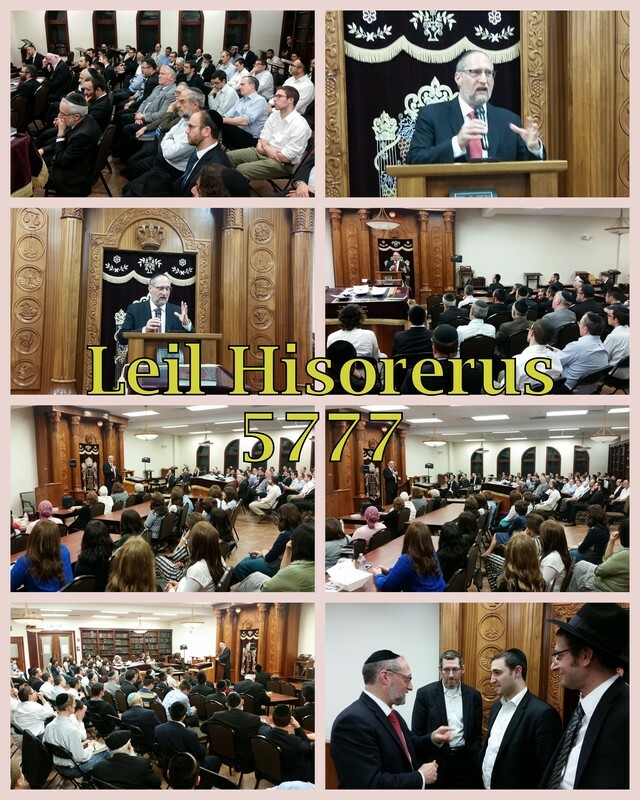 To hear Audio and see photos of last year's event with Rabbi Reuven Drucker, see here. for past years, here. ﻿Rabbi Ben Tzion Shafier was a high school rebbe for 15 years before creating Shmuz.com. The Shmuz, a popular website that dispenses weekly Torah inspiration to 10,000 people across the globe, reflects the down-to-earth, practical voice of Rabbi Shafier. Offering refreshing parasha thoughts, life-changing hashkafa workshops, and captivating marriage seminars (like “10 Really Dumb Mistakes that Very Smart Couples Make”), Rabbi Shafier is direct, daring, and downright funny, providing audiences with essential Torah principles packaged in an enticing, enjoyable way. A father of six and grandfather of four, Rabbi Shafier lives in Monsey, New York.